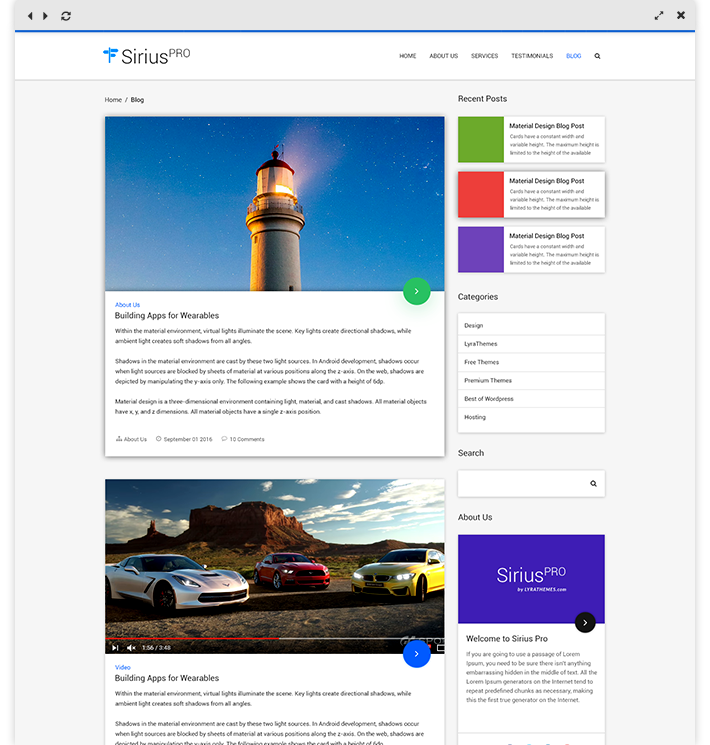 A true material design WordPress theme. 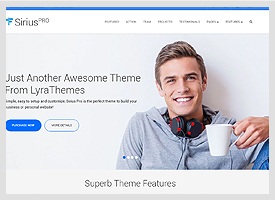 Sirius Pro is readily customizable and deeply functional responsive WordPress multiconcept, multipurpose theme. 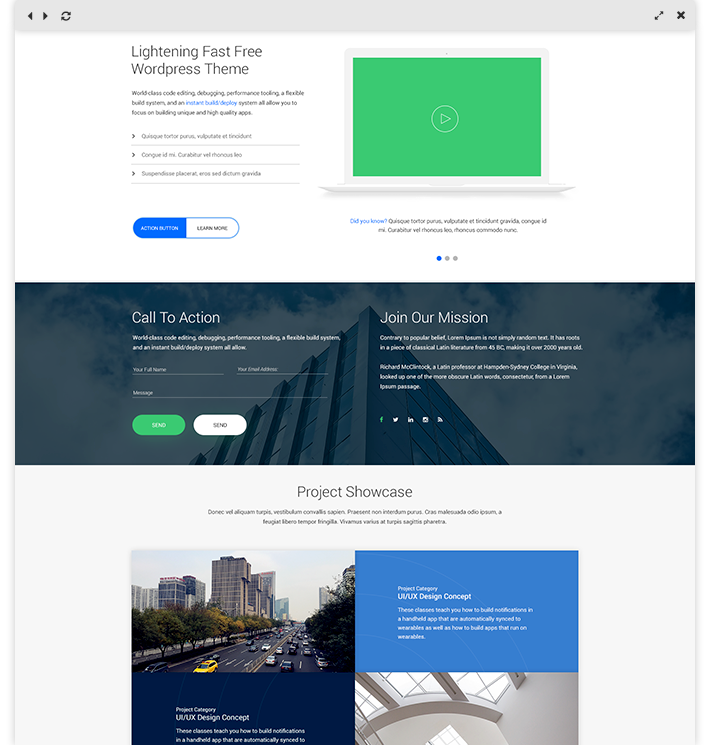 This is a one of a kind theme that can be used to create an elegant, professional, and featured filled business, personal or corporate website. The front page also has single page scrolling features thus enabling it to be set up as a one-page website. Sirius Pro is extremely simple to set up and customize. 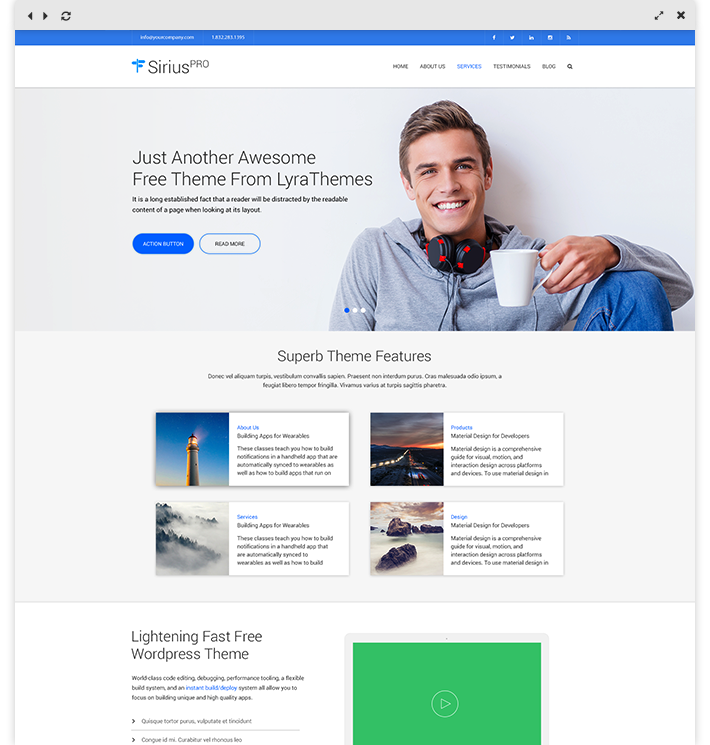 With just the right amount of options, Sirius Pro is a bloat-free, spectacularly powerful, one page business WordPress theme that can be used for a variety of purposes. 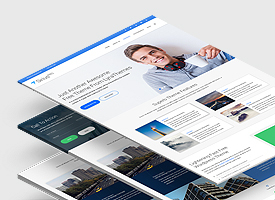 We're confident you'll love the theme and the amazing support team behind it. If the theme doesn't work out for you, let us know within 14 days and we'll refund your purchase, no questions asked. 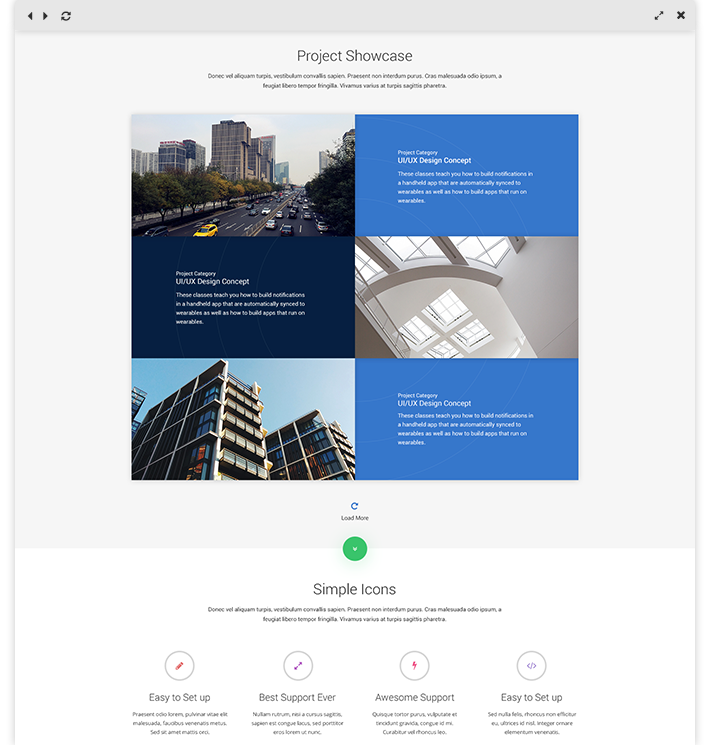 This is one of the few themes on the market that is inspired truly by Material Design. Simple yet elegant, aesthetically minimal but effective, this theme will work well with most business brands and looks. 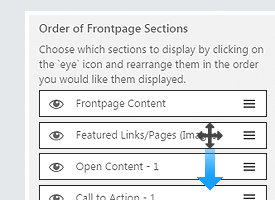 With several home page sections to choose from, you can create a unique page by reordering the sections and showing only the ones you need. The home page can also be set up with a 'single page navigation'. 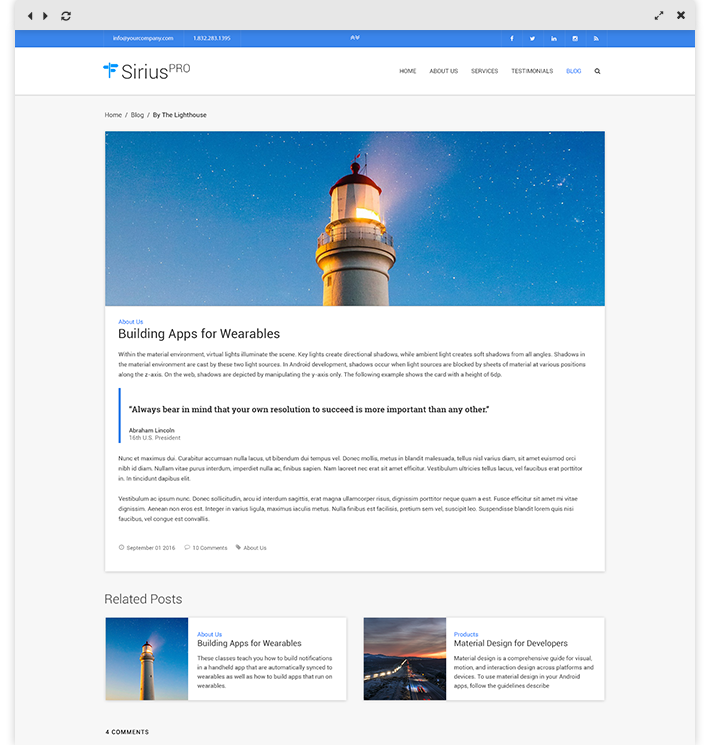 Sirius Pro comes with an option to use a banner or a slider on the front page. 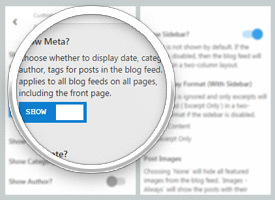 Internal pages and posts can also display an optional banner. 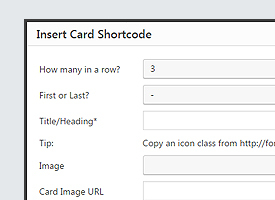 The theme comes with a shortcode builder that helps you create information `cards`. Usually composed of a title, description, an image, these cards are an excellent way to showcase your services or team members. 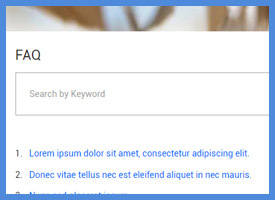 Use the built-in shortcodes to set up your FAQ page quickly. The FAQ page has a search box at the top that allows visitors to search from the FAQ list. 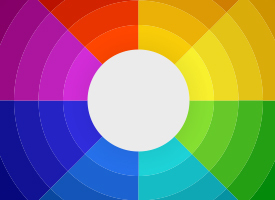 We're confident you'll love the default colors of the theme but if you'd like to use a different color scheme, you can change all the major colors with an easy to use color picker. 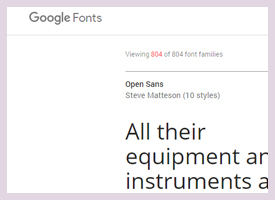 Choose your own fonts from our selection of some of the best Google Fonts that go well with this design. 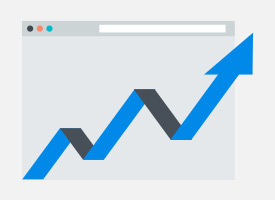 Customize your site to match your brand and make it your own. Complete control over which sections to display on the home page. Extremely easy set up of the one page navigation feature. 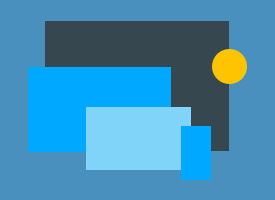 Control the background color of each section! 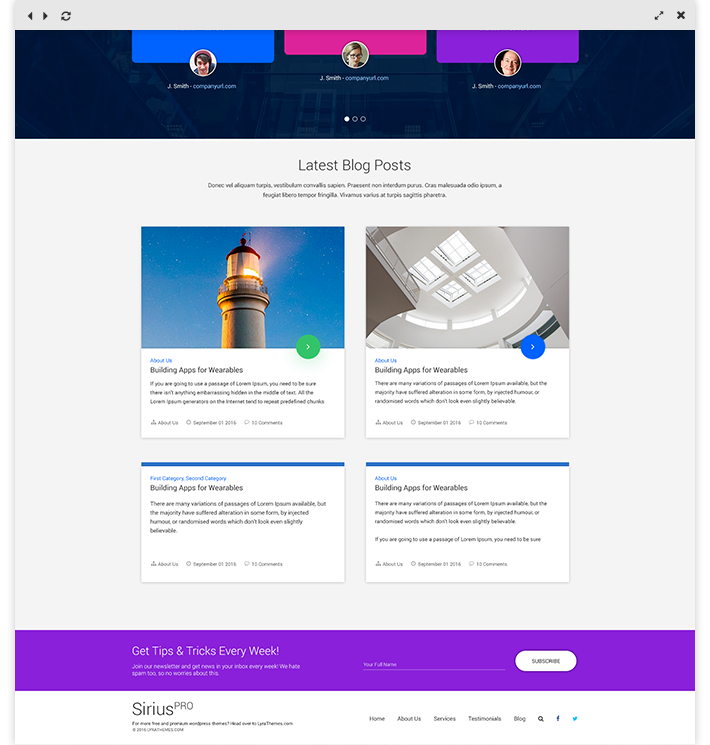 Want to show the full post in your blog feed? Just the excerpt and no image? Excerpt with an image? 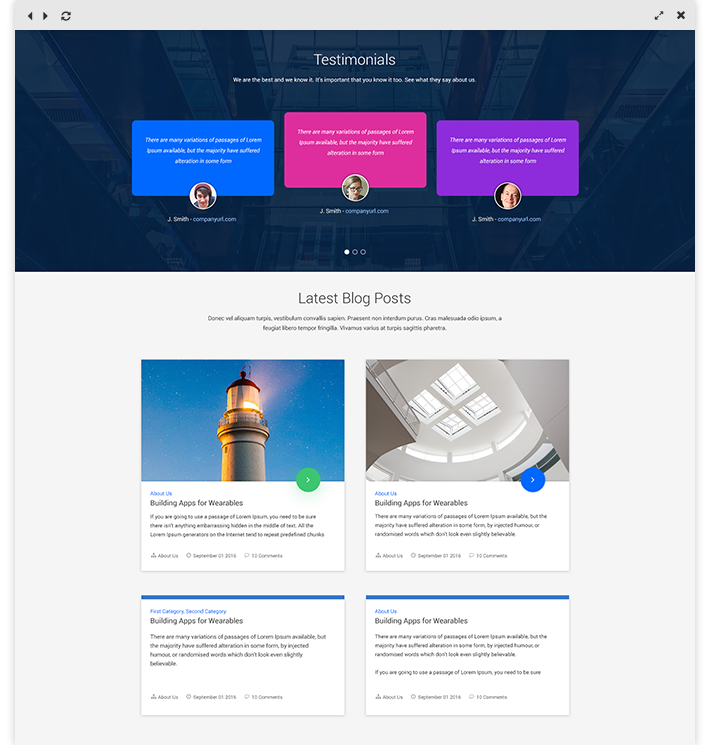 We've got you covered with multiple blog post layouts that can be chosen and set from your theme customizer. 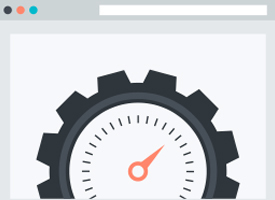 Sirius Pro boasts lightening fast load times and clean code that is optimized for search engines, thus giving you an edge in rankings. 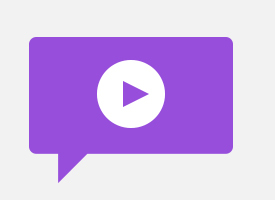 Vega Pro is super easy to setup and you can use our demo content to get started. You'll be well on your way in 30 minutes or less!